Welcome to Ocha!Keep up-to-date with the latest Ocha news! Ocha is closed over the easter weekend. 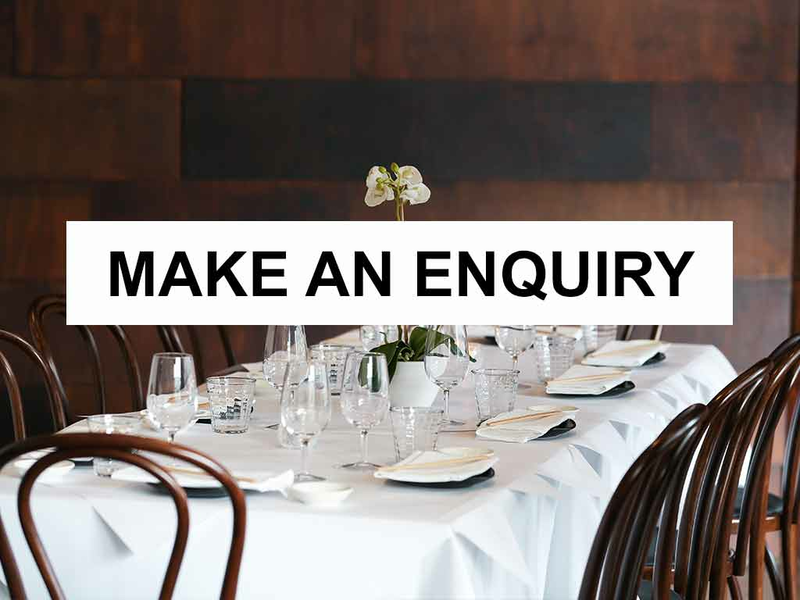 We will see you on Tuesday the 23rd of April for lunch. 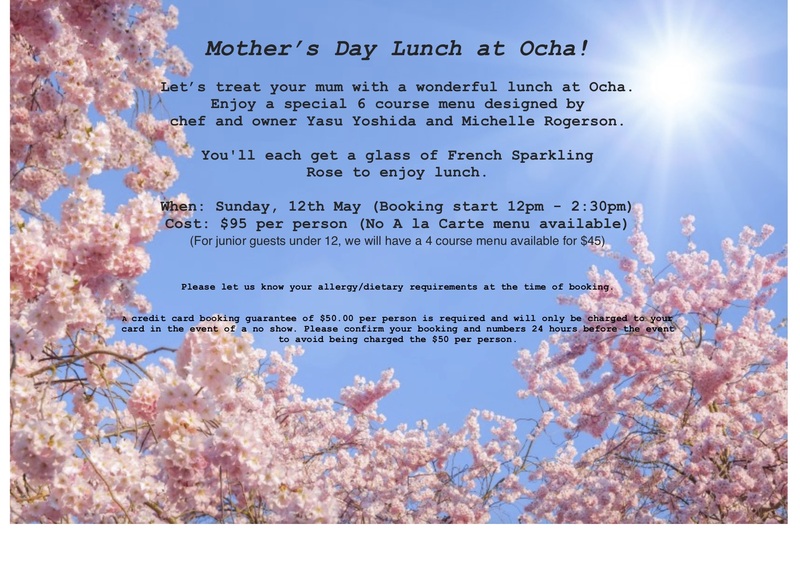 Ocha Japanese Restaurant provides Hawthorn and it's surrounds with premium, modern Japanese cuisine using locally and internationally sourced produce. 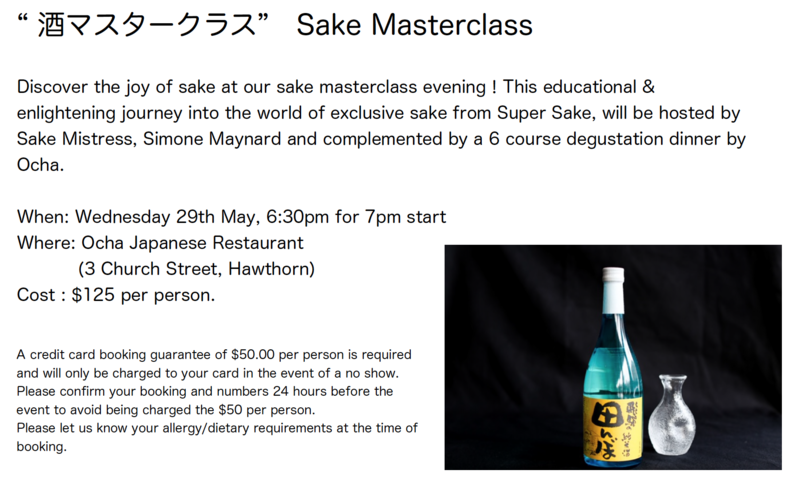 Our Sushi and Sashimi is unlike anything you've ever experienced - soft, delicate and flavoursome. 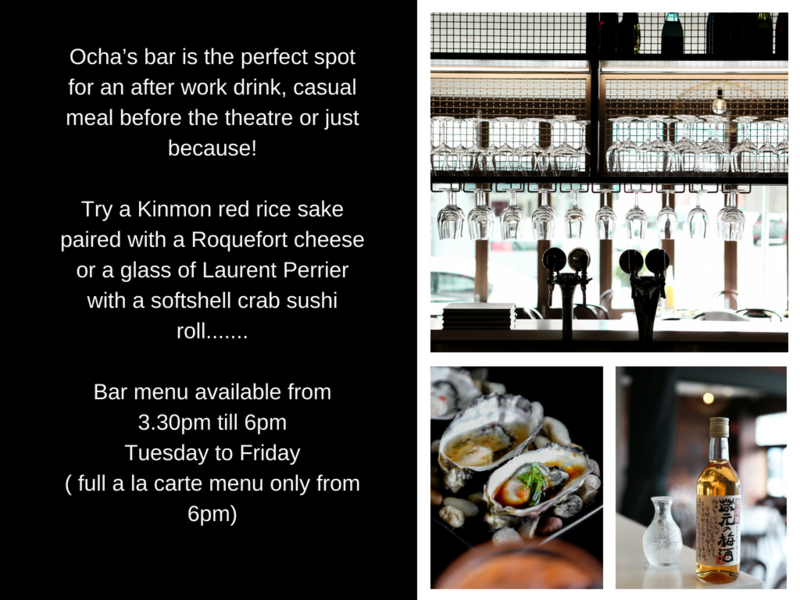 The Ocha staff team are all passionate about Japanese food and are dedicated to providing you with an experience to remember - not only with new tastes but company too. 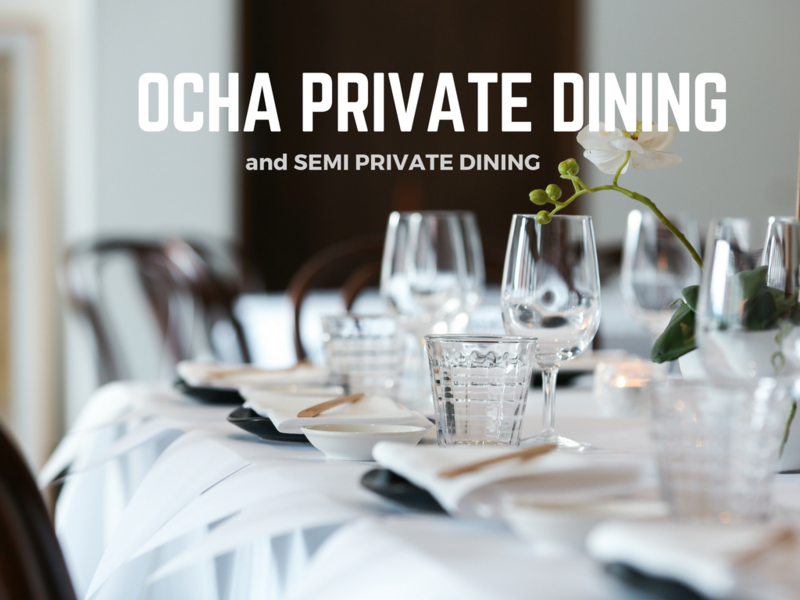 Come into Ocha and experience it for yourself! If you want a little lesson in the importance of texture and freshness in cooking, go to Ocha. 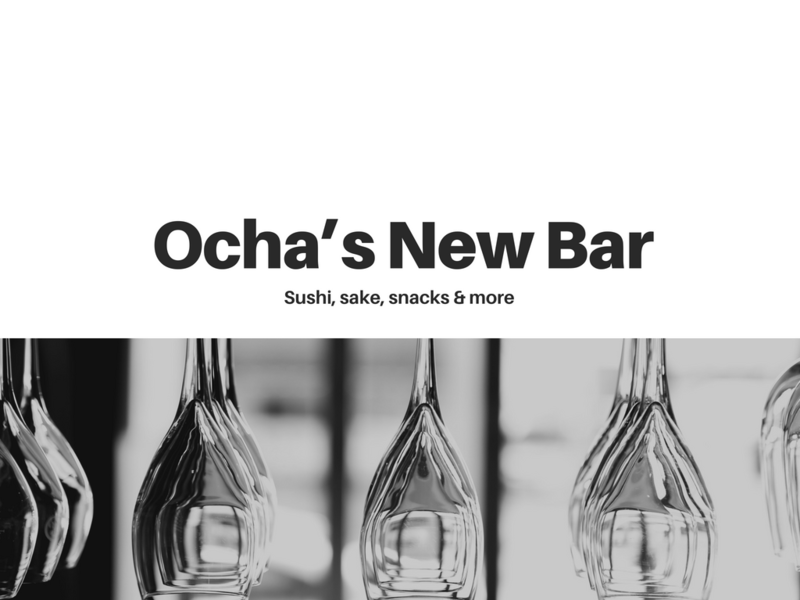 We've made some big changes at Ocha! 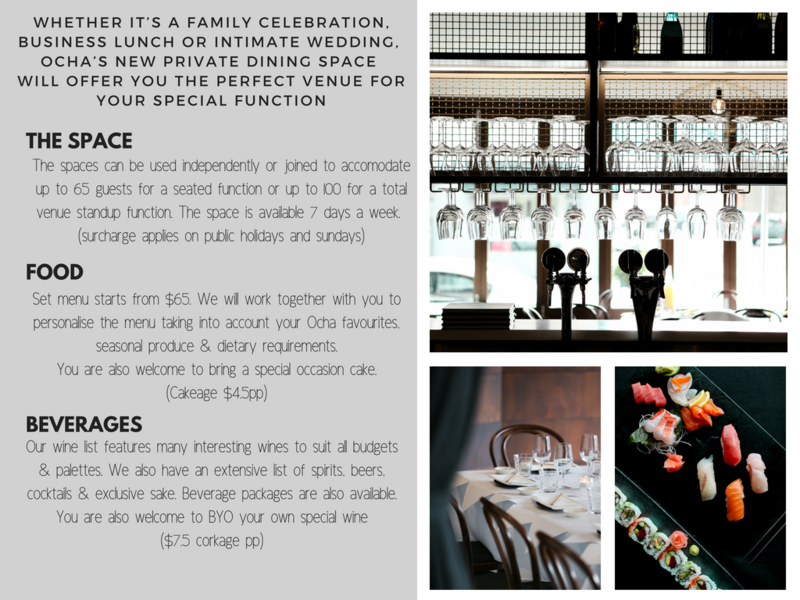 Come check out our brand new Sushi Bar, Private Dining Room. We've also opened a brand new Bar for drinks and snacks from 3pm (Tuesday to Friday). Come grab a bite to eat from a specially designed bar menu and a glass of French Burgundy. Stay up-to-date with Ocha news and events! - All major credit and debit cards accepted.